an explosive email sent by Milne to recently sacked ABC MD Michelle Guthrie, calling for the removal of the broadcaster's chief economics correspondent Emma Alberici. In the email to Guthrie, Milne stated that the ABC was "tarred with her brush" and that the solution to the problem was simple, "get rid of her". The controversy has sent shockwaves through the industry, with the Media Entertainment and Arts Alliance (MEAA), calling for Milne to step down. "Milne has no understanding of editorial independence, proper complaints handling processes, or the appropriate distance a board chair needs to keep from staffing matters," a statement read. Shadow communications minister Michelle Rowland and senior Liberal ministers have also gotten behind the MEAA, with Rowland reportedly calling Milne for an explanation. UPDATE: Hundreds of ABC staff have walked out of its Ultimo, Sydney headquarters as calls for chairman Justin Milne to stand down reach boiling point. 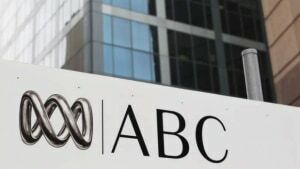 Imagery and video have been seen across twitter of ABC staff holding talks over the allegations that Milne told recently sacked managing director Michelle Guthrie, that journalists from within the public broadcaster needed to be removed. 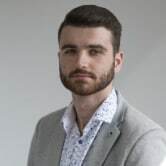 ABC News Mornings presenter Joe O'Brien tweeted images of hundreds of ABC staff across multiple levels of the building during a company-wide staff meeting. Hack journalist Avani Dias also tweeted footage of multitudes of staff exiting the building. The ABC continues to come under fire this week, as government ministers and industry unions have begun calling for current chairman of the ABC board, Justin Milne, to step down in the wake of the Emma Alberici email scandal. Earlier today, the Sydney Morning Herald revealed an explosive email sent by Milne to recently sacked ABC MD Michelle Guthrie, calling for the removal of the broadcaster's chief economics correspondent Emma Alberici.